factors are non-living variables that can influence where organisms can live. 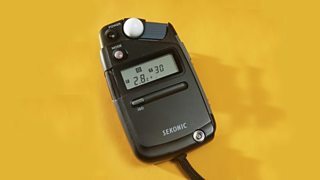 Light intensity can be measured using a light meter. Its light-sensitive panel contains sensors that trap the light to measure it, displaying the reading on its screen. In order to work properly, care must be taken to keep the sensor steady, keep the meter out of shade and to make sure that the panel is facing the maximum sunlight available. Air temperature can be measured using a standard thermometer to provide useful environmental information. In order to work properly, care must be taken to keep it out of full shade. of soil, rainwater, and water in rivers and ponds can be measured using a soil pH meter. Soil moisture levels can be measured using a soil moisture meter. In both cases, a probe is pushed into the soil and the reading is displayed on its screen. In order to work properly, care must be taken to make sure the probe is clean and dry before use and to keep the depth at which it is inserted into the ground consistent. Temperature Standard thermometer Don't shade it. Light intensity Light meter Don't shade it. Position it facing maximum sunlight. Keep it steady. 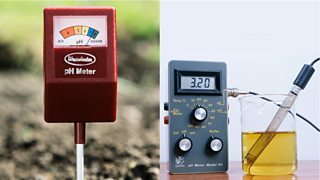 Soil pH Soil pH meter Make sure the probe is dry and clean before use. Keep the probe at a consistent depth. Soil moisture Soil moisture meter Make sure the probe is dry and clean before use. Keep the probe at a consistent depth. Taking multiple readings in identical conditions and calculating an average increases the reliability of results.